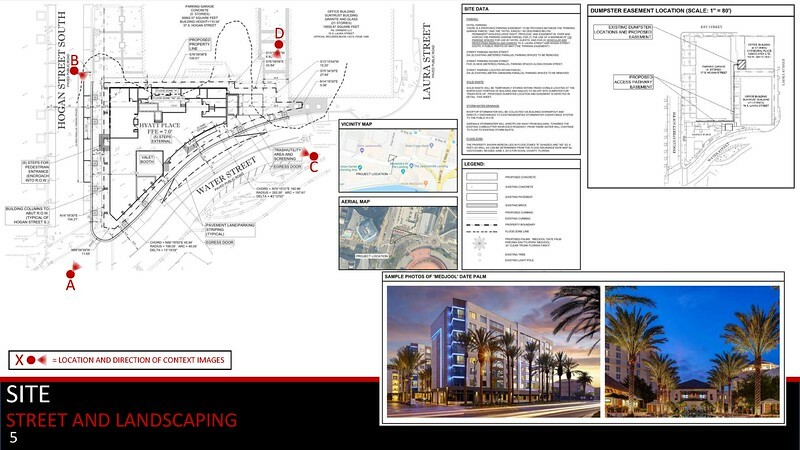 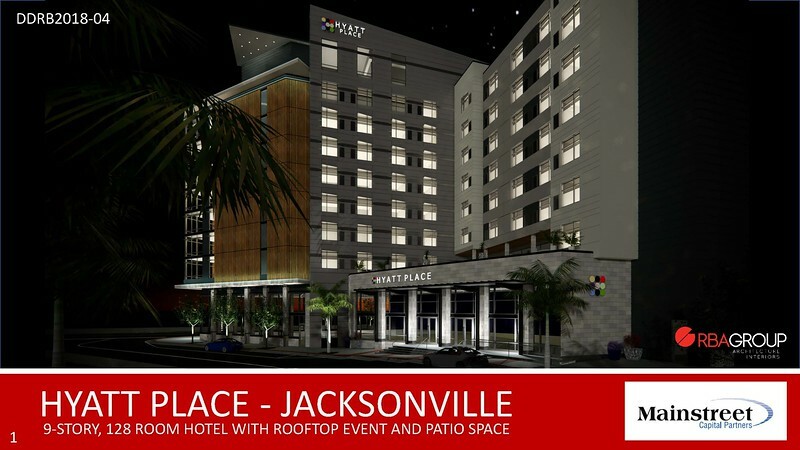 The 9-story Hyatt Place hotel announced by Fort Lauderdale-based Mainstreet CV76 S Laura Street LLC. 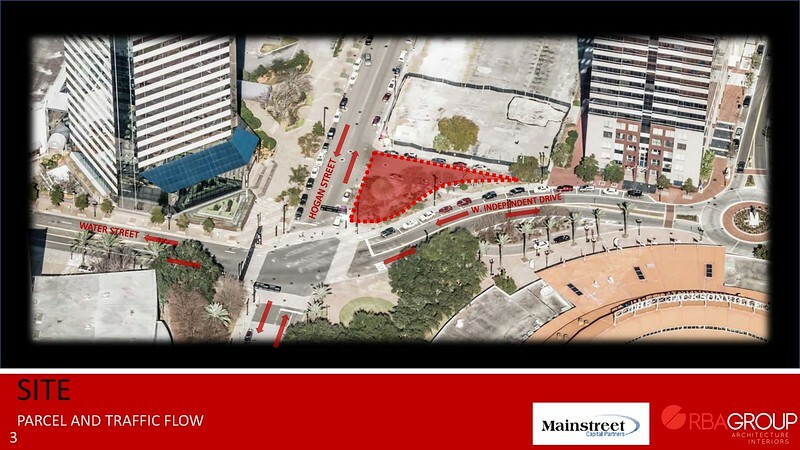 may be one of downtown Jacksonville's most interesting recent proposals. 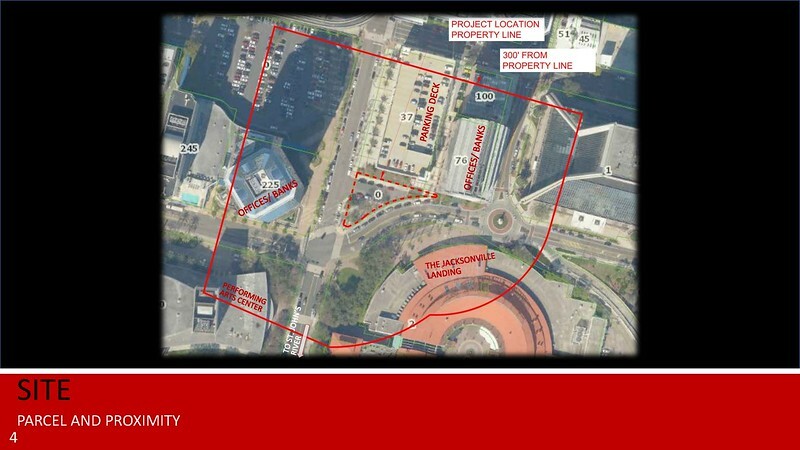 Plans for the 128-room hotel include a first floor restaurant and bar, a second floor pool deck and fitness center, and a rooftop patio and event space on a 0.27-acre site directly across the street from the Jacksonville Landing. 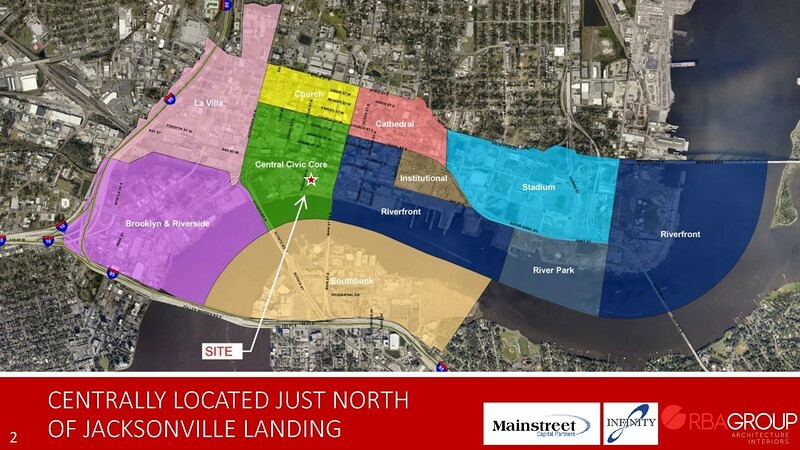 Here's a look at the conceptual plans for a development that will bring a tower crane to the heart of the Northbank skyline.